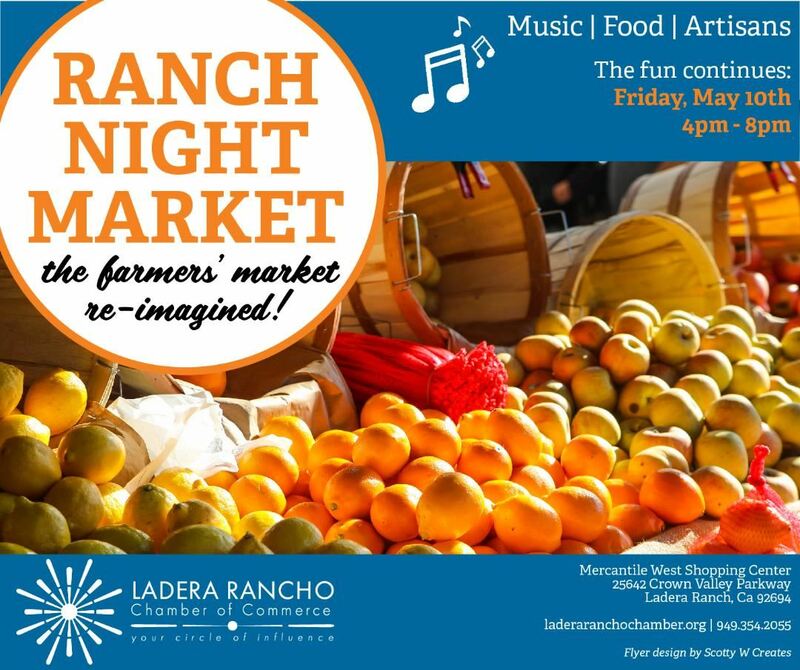 The Ladera Rancho Chamber of Commerce is excited to continue our interactive, once-monthly market on Friday, May 10th, 2019 in the Mercantile West Shopping Center at 25642 Crown Valley Parkway. 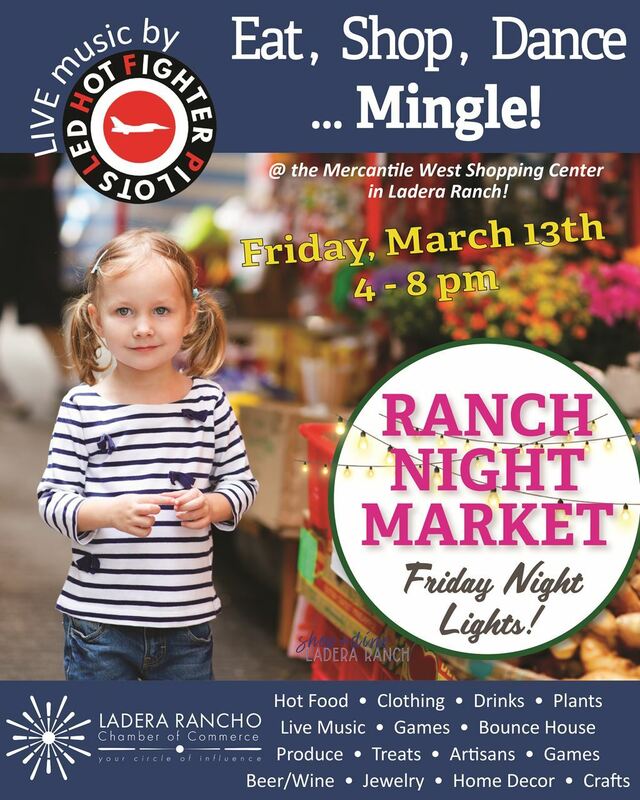 Grab the family, some shopping bags and come out for this FUN Friday night event!! Featuring Live Music! 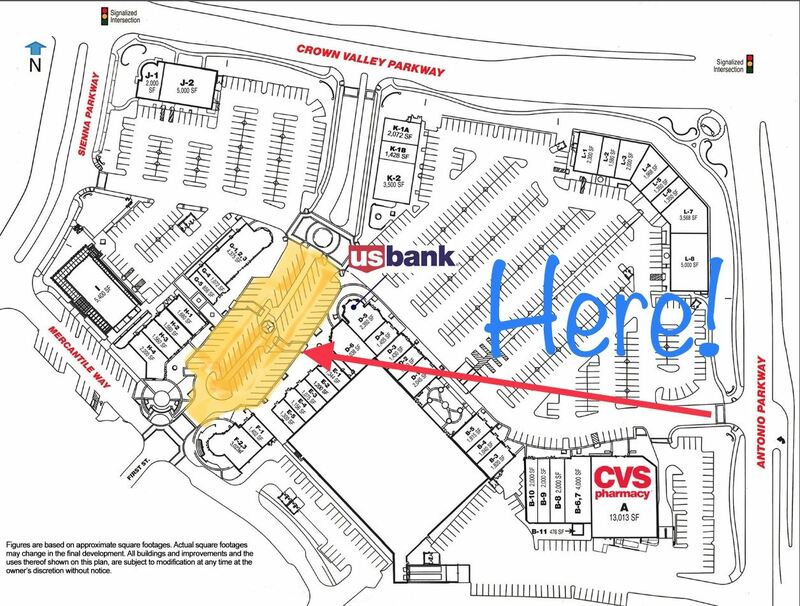 Ranch Night Market is located in the Mercantile West Shopping Center at 25642 Crown Valley Parkway in Ladera Ranch (see map below) and is held the second Friday of each month. 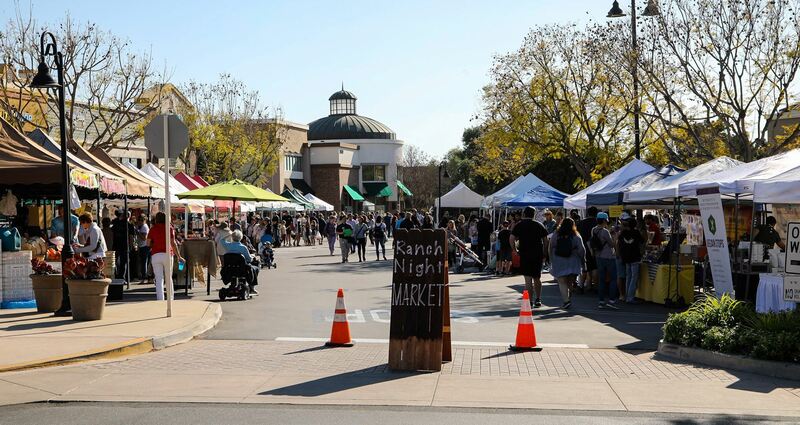 If you are interested in performing at our market, email us at info@laderaranchochamber.org with a description of what you do. Ladera Ranch is 2 miles east east of Interstate 5 off of Crown Valley Parkway.